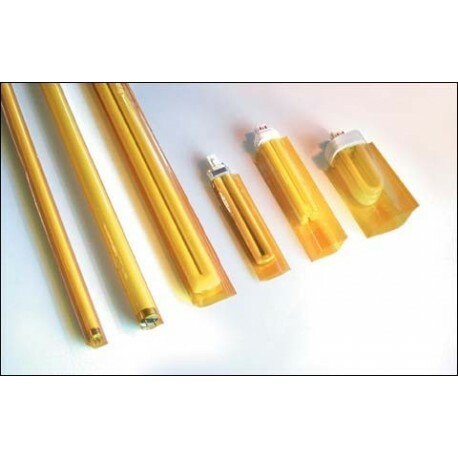 The GAMTUBE-UV AND SUPERTUBE FILTERS can both provide an extremely effective clear UV shield, as reusable sleeves that slide easily onto a variety of fluorescent lamp sizes. NOTE: Standard GAMTUBE does not filerblock UV, but it can be ordered in any of the GAM color options to filter any portion of visible light, or change the lighting color within a room. Specify GAMTUBE-UV for clear UV Blocking GAMTUBE. Pricing is the same for all sizes of GAMTUBE. GAMTUBE-UV is also the same price except T-12 400' roll, which is higher. Please ask for quotation prior to ordering. 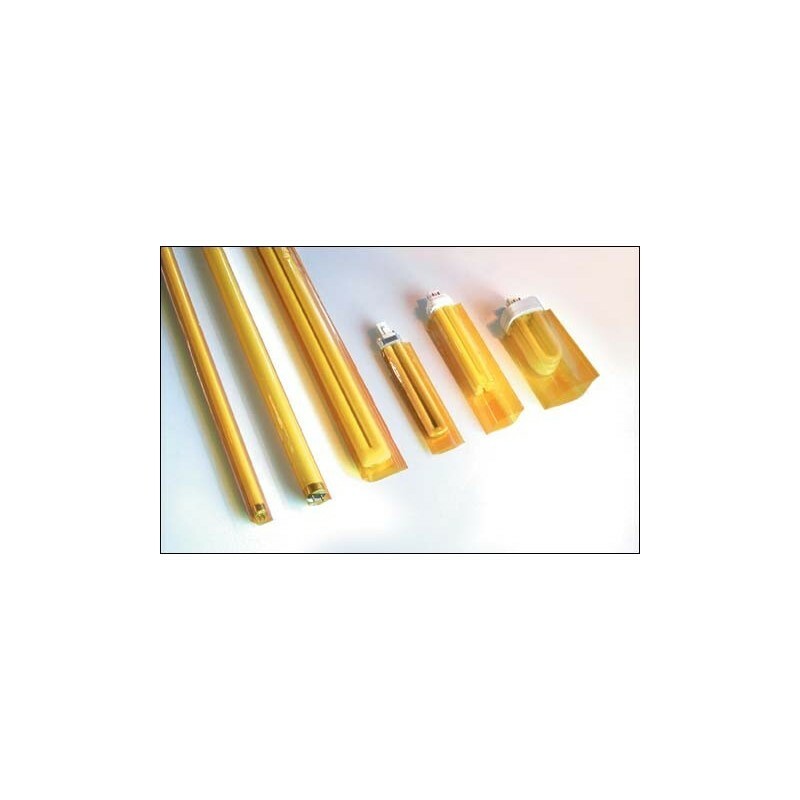 SUPERTUBE™ is a two layered GAMTUBE™ with a first layer (closest to the lamp) made of of UV filter material and a second layer of GamColor® (you must specify the color at time of order). The UV filter helps to extend the color life expectancy by filtering out the high UV content of the fluorescent lamp. In an installation where we would expect one year of color life, the SUPERTUBE™ would double it to two years. NOTE: While there is the entire GAM color wheel available to you to choose from for our UV customers we have pre-selected some amber options for blocking the blue light spectrum. Please see our support document link on the left column titled: AMBERS for GAM SuperTube. SIZES: Lamps sized T-5, T-8, and T-12, up to 8' in length, are considered standard. Lamps larger than T-12 in diameter (1.5 inches) or smaller than T-5 are considered custom and must be quoted. All GAM tube products can be sized for bi-axial and compact CFL lamps! Any size can be ordered if dimensions are provided upon ordering These are considered custom orders with a minimum order quantity. This polyester material has a melting point of 480°F (250°C). Color and/or ultraviolet filtering dyes are impregnated into the polyester material, and not surface coated.